Medium bodied with red grape aroma. Notes of camphor and cherry. Tea cake is 100 grams. Taiwanese White Tea Cake is made from the Hong Yu cultivar, which is most often used to produce Taiwan’s famous Red Jade black tea. The cake has an appearance and aroma similar to that of a compressed White Peony tea, but also delivers some of the classic Red Jade black tea flavors, including notes of camphor and cherry. Taiwanese White Tea Cake is produced in Mingjian, Nantou County. Making tea cakes (also known as bing cha) is a traditional art form. 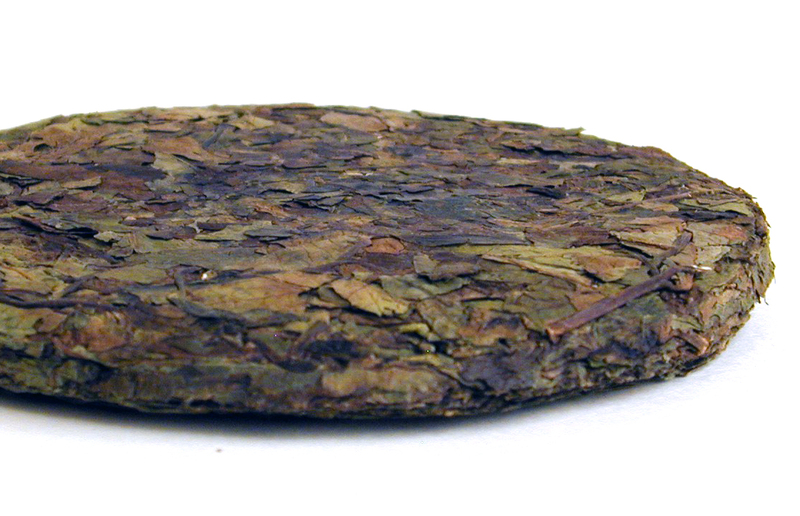 It is often used in producing Puer teas, but other teas like white, green and black may also being compressed into cakes. White tea cakes are generally ready for drinking soon after they’ve been crafted; however, if aged well, they may come to life in new ways over time. Purchase this product now and earn 28 Frequent Leaf Points!